By the late '80s, the nights were dominated by hordes of an unknown creature and so little was known about them. Only you volunteered to go out this world alone and sweep these creatures from the face of the earth. 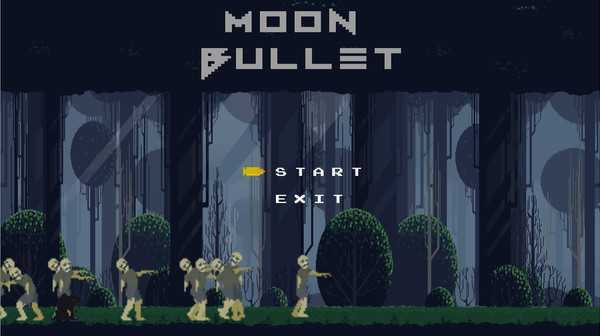 People called you "Moon Bullet" and your method is simple: unleash unlimited shots with an automatic rifle against these creatures and try to stay alive! 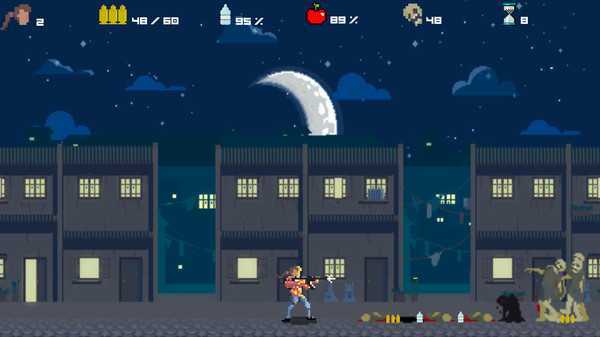 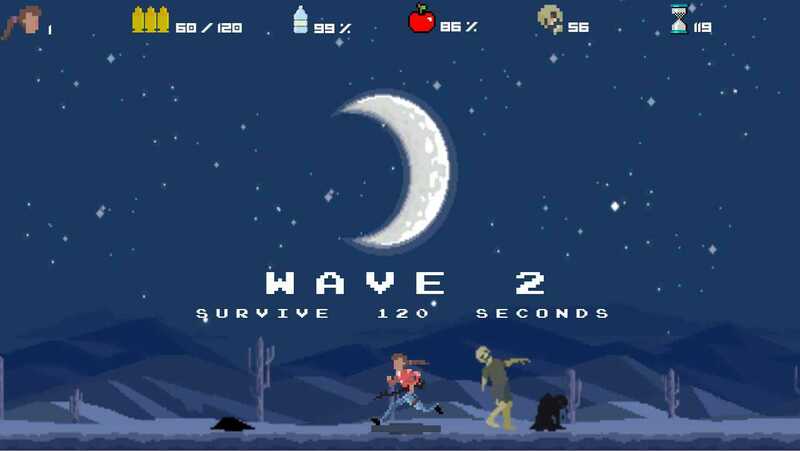 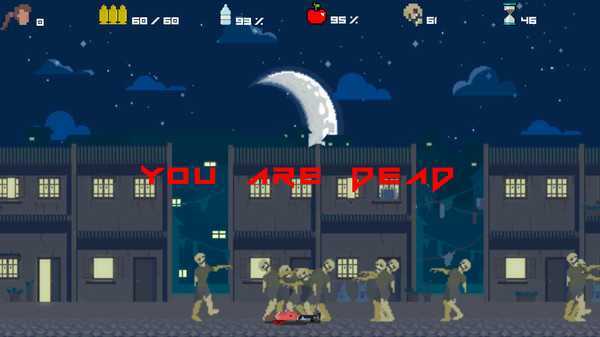 A 2D side-scrolling shooter in which the player must survive the waves of zombies, thirst and hungry.